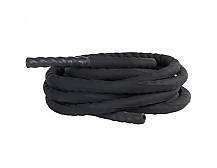 CrossFit gym equipment for sale. Established in 2009, Fitness Equipment warehouse has been providing comprehensive gym and fitness solutions for the police, special forces, government agencies, schools, mines, corporate sector and personal fitness instructors for nearly a decade. During this time, we have seen the birth of the CrossFit regimens revolution and extended our offering to include the best CrossFit equipment brands to cater to the scores of crossfitters looking to excel at the sport. 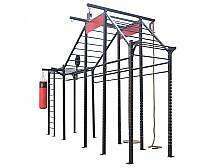 Contact us today to find out more about our competitively priced CrossFit gym equipment for sale. The CrossFit system is modular and component-based which gives great scope for flexibility and adaptation so you can design a system to suit the space available and the fitness level you require. The exercise options with our CrossFit exercise equipment are endless with so many components available and more being released in the future, enabling you to expand when necessary. The CrossFit system is unique in that it is simple and modular, making it a breeze to set up. It is only limited by the space available. Unlike other gym equipment which is usually limited to a specific range of exercises, CrossFit has a nearly infinite number of options. Not only can you vary your workouts but you can include any number of athletes at the same time so that you can build bulk, stamina, strength, and endurance in isolation or group sessions. If you’re interested in joining the CrossFit revolution but don’t know where to start, we can assist. We have an extensive stock of high-quality CrossFit gym supplies. We are also readily available to guide you. Once we know the size of your gym area and its height, our qualified team will answer all your questions and find the best fit for your requirements as well as your budget. Fortunately, CrossFit uses a minimal amount of equipment to enable you to get going, keeping the list relatively short to get started. We also happen to have some budget-friendly deals on CrossFit equipment packages you can take advantage of. Get the best CrossFit equipment brands from a trusted supplier. 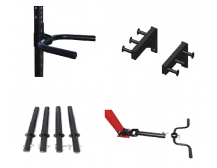 Fitness Equipment Warehouse is continuously striving to find new methods and new accessories to support the CrossFit and power cage systems. Visit our large showroom and try out the variety of strength equipment on display. Everyone has an affinity for specific exercises and pieces of equipment so let us help you find yours and pave the way for quicker development. Our range is the envy of the industry and can be adjusted to suit all requirements. If you are unsure of which power cage or rack will best suit your training sessions, our fully qualified team are on hand to answer all your questions and advise you accordingly. Contact us directly or Visit our large showroom where you can browse and try the equipment in a friendly, no pressure environment.